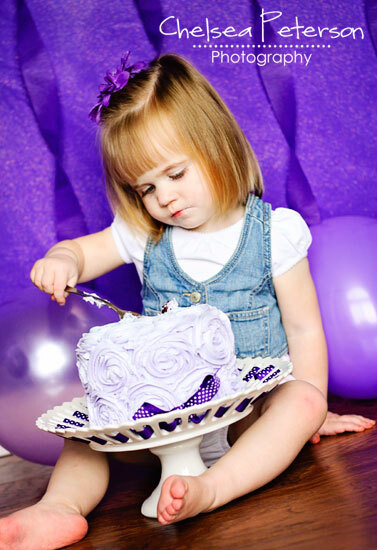 My sister, Chelsea Peterson Photography, is going to start doing 1 year old smash cake sessions! I’m so excited for Baby Boy’s and it’s still 6 months away! ANYWAY, I’m going to be making the cakes for them! We decided to do a practice cake, to see what size looked best on her cute cake stand, also she wanted a cake for her oldest daughters birthday party invitation! 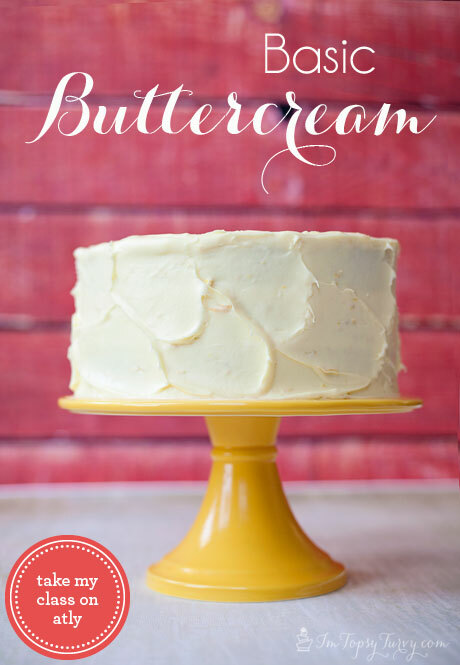 I’m going to create a few different butter-cream options for Smash cake options! 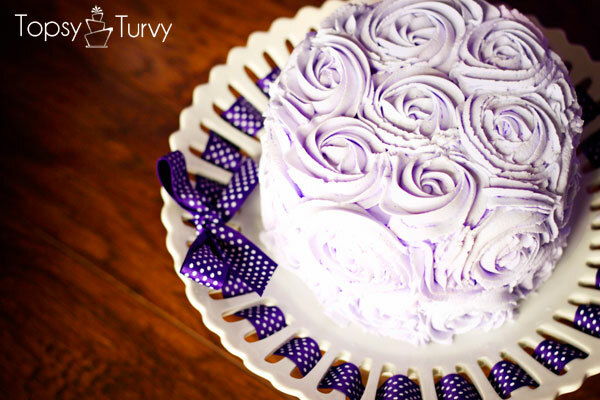 This rosette style of frosting is all over the internet. I’ll also offer a ruffled option, and my sprinkle cake as well as a few more I’ll make and preview over the next few months. When we were done taking pictures we let the girls break into the cake for fun! They were pretty hesitant, and so adorable. But I can’t wait to see the 1 year olds get down with the cake! Anyone have a 1 year old soon? This cake is lovely. And I love the cake stand. I linked a new design for an Easy hanging kitchen towel, check it out if you have the time. Thanks! I’m not sure were my sister got her cake stand, but I love it too! Glad I can borrow it whenever I need to! Thanks Dianna! 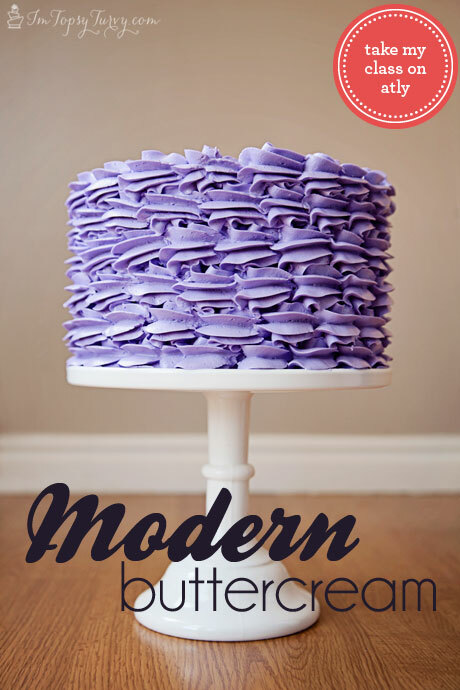 It’s a fun, quick and easy cake to make. Love this cake. Thanks for sharing. Thanks so much! It’s a pretty quick cake too, so fun to throw together for a sweet birthday girl! HA! Thank you so much! It smashes up pretty cute too though! Come to UT for a conference and we’ll have a cake lesson! thanks! the buttercream is a fun change from my normal fondant! Lovely! Happy Birthday to your sweet niece! This looks absolutely amazing. Great work. Thanks so much! 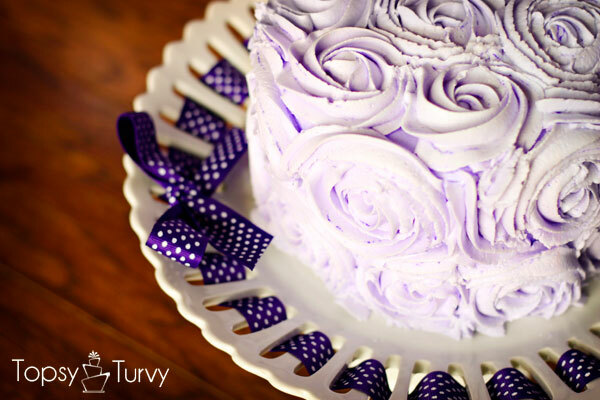 The rosettes are a fun addition to cupcakes and cakes! So beautiful!!! I love the color, size & her cake plate!! Great job!! 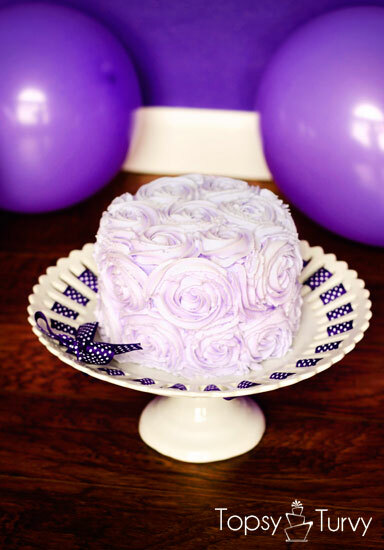 I like the cake plate too, so pretty! The new smash cakes are really quite pretty and they are fun to make! How fun, first birthdays!!! They are SO much fun, we love birthdays around here! Oooo I love the color of the rosettes!! So pretty. I love the one-year-old smash cake idea! Perfect photo opp!! thanks! It’s a totally fun purple! it will be such a fun purple party! 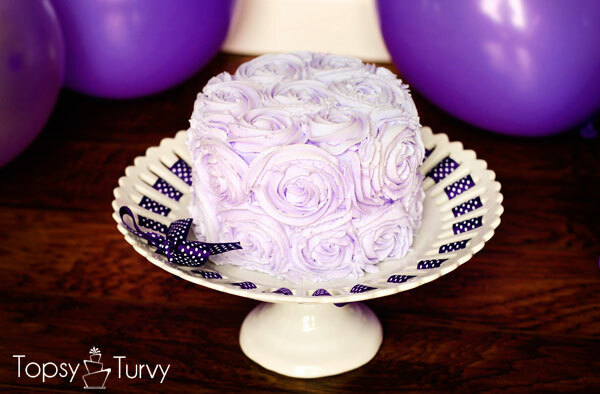 Hi Ashley, did you make the purple frosting roses first and then place them on the cake or did you just free hand them while turning the cake? I’d love to try one of those, but need practice on my rose making. Very pretty and great idea for Mothers Day or a tea party. Thanks for sharing. right on the cake, they rosette, not roses, so there isn’t a way to transfer them, they are super easy, use a star tip, start in the middle and circle around to the size you want.